We are thrilled to announce we will be exhibiting a pair of compelling collage works by Sydney artist Deborah Kelly in our Invitational exhibition opening in early July. Recognised as one of Australia’s foremost political artists, Deborah Kelly has exhibited widely throughout Australia and internationally. Working in collage, portraiture and animation, Kelly questions and challenges global capital, public policy, religious authority, patriarchy and privilege. Throughout, her polemic is always nuanced and always approached with empathy, intellect and wit. Her work has been shown at MOMA PS1 in NYC, the ICA in London and in the Biennales of Singapore, Venice, Thessaloniki, Tarra Warra and Sydney. The monograph Deborah Kelly & was published by Artspace in 2013. Her work is held in the collections of the National Gallery of Australia, QAGOMA, MCA, AGNSW, the State Library of Victoria, Museum Victoria, Artbank, and private collections in Australia, the US, China, Indonesia and Germany. 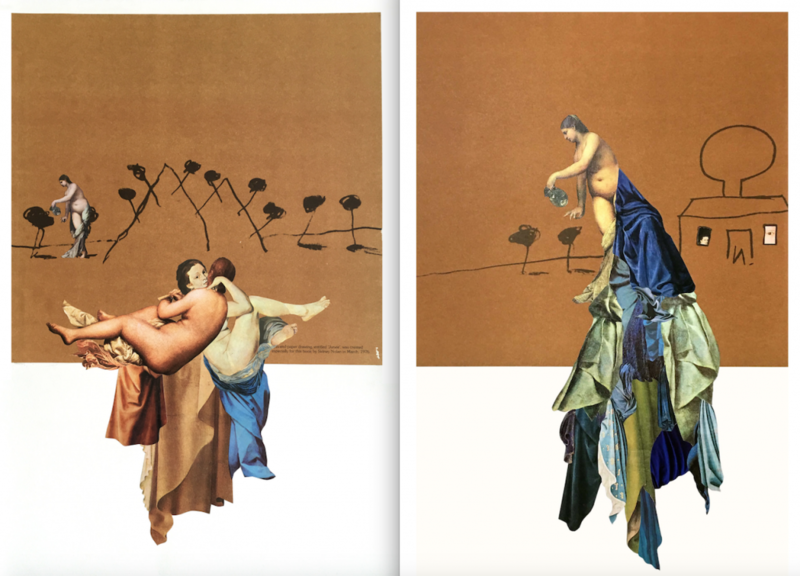 “…for the first time in my practice, with the collage works Junee Archival (Sausage Party Showdown) #1 and #2, I deal with images of emblematic artefacts and paintings by a named 20th century artist to construct new artworks. The works relate directly to the source material’s cultural weight and meaning and seek to expand upon it; to subvert it, to remix for reuse.